Most of us understand the importance of seatbelts. In fact, 90% of Americans do wear seatbelts every time they take a ride. Unfortunately, that leaves 27.5 million people who don’t. That’s a startling fact, considering that the simple act of buckling up is the best way to ensure your safety in the event of a car accident. Some people may choose not to wear a seatbelt because they think an airbag will protect them during a crash. Others may simply find restraints uncomfortable. Still others buckle up, but don’t wear the seatbelt properly. Whatever the reason, it’s clear: those who don’t click it are putting their lives at risk. According to the National Highway Traffic Safety Administration, 48% of all passenger vehicle occupants killed in 2016 were not wearing their seatbelts. Of these, 52% were men. The NHTSA states that during that same year, seatbelts saved approximately 14,668 lives. If everyone had been wearing seatbelts, an additional 2,456 lives could have been saved. It is true that a seatbelt can’t save everyone in every type of crash, yet it’s clear that they give us a far better chance of survival. An airbag does not provide full protection. In fact, without the seatbelt holding you back, an airbag can actually cause more damage to your body in an accident. Those not wearing seatbelts are also much more likely to be ejected from the vehicle in a rollover collision, even if the airbag deploys. Buckling up has been shown to reduce the risk of fatal injury for those in the front seat by 45%. In a passenger car, wearing a seatbelt also reduces the chance of moderate to severe injury by 50%. Those stats are even better for people traveling in a light truck. In a pickup truck, the act of wearing a seatbelt reduces your risk of fatal injury by 60%. The risk of moderate to severe injuries is reduced by 65%. These numbers should be enough to show anyone the benefits of buckling up! Make sure the lap belts sit across your pelvis, and the shoulder belt straps across your rib cage. The shoulder belt should extend across the middle of your chest and not rest against your neck. Never tuck the shoulder belt behind your back or arm – this can result in worse injuries in a crash. Test out the seatbelts in a vehicle when you purchase a new car. They should be a good fit that’s comfortable for you. Install seat belt adjusters when necessary, to provide additional comfort while still keeping you safe. Retrofit any older vehicles with full shoulder and lap belts if they only have the older lap belts. Adjust the seat to a comfortable, upright position before securing the seatbelt. Provide as much distance as possible between your stomach and the steering wheel. Do not recline the seat if not necessary. This can reduce the effectiveness of the seatbelt. Pregnant women should remember that it’s still important to wear a seatbelt for the safety of both mother and child. Speak to a doctor about the safest ways to wear a seatbelt while expecting. Still Injured While Wearing a Seatbelt? Seatbelts definitely prevent deaths and injuries in car accidents, but they are not a fail-safe. Even people wearing one can be seriously hurt. 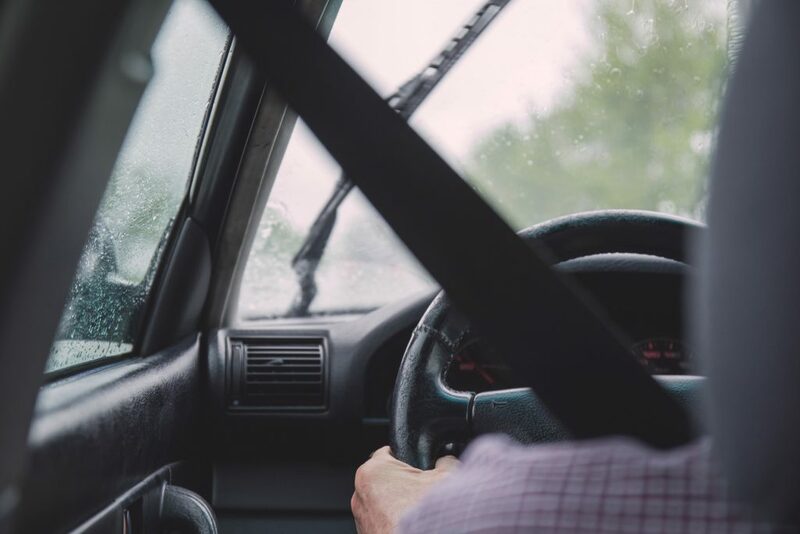 When this is the case, and you’re injured in spite of or by your seatbelt, you should speak to a Gillette personal injury lawyer at Steven Titus & Associates, P.C., who can help you get fair compensation. Call (307) 257-7800 for a free consultation.